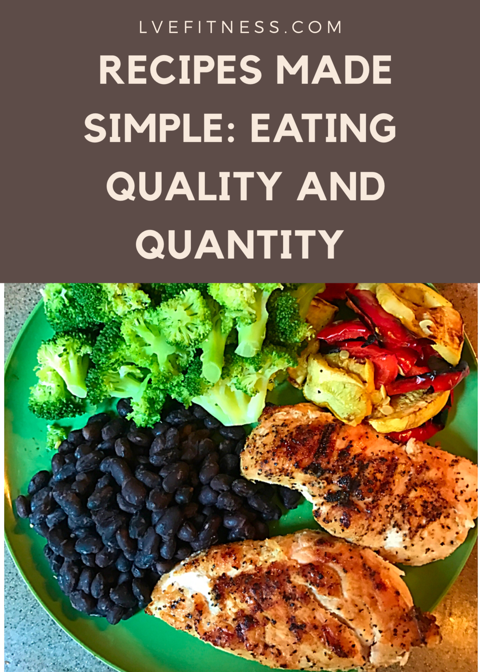 A super easy, quick and healthy dinner! Cooking doesn’t have to be complicated. I took four chicken breast and covers them with black pepper, granulated garlic, and a little bit of salt. Grilled for about 6-7 minutes each side. For the vegetables, I just sliced them up big enough so they wouldn’t fall through the grill grate and cooked them until they were tender. I steamed the broccoli in a pot until tender. Then I drained and rinsed a can of black beans and cooked in a pot until warm. You can put whatever seasonings you want on these vegetables but I find the grill gives them a nice smokey flavor. Previous PostWhat Supplements Do I Take?Next PostMeal Prep for Beach Vacation! Tip to Save a Little Money!! !